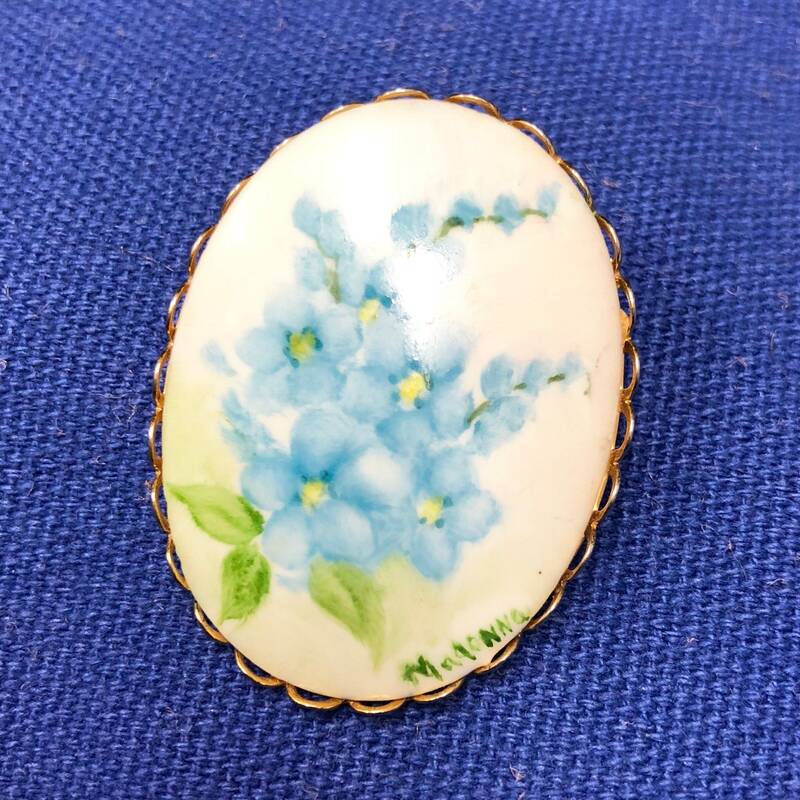 Oval ceramic brooch painted with delicate blue flowers and greenery. Set in faux gold backing. Straight pin with roll-around closure.